Summary from IMDb: A spy organization recruits an unrefined, but promising street kid into the agency’s ultra-competitive training program just as a global threat emerges from a twisted tech genius. I’ve been itching to go and see this ever since I first heard about it because a sharply suited Colin Firth suavely beating up bad guys sounded like my idea of heaven. And it is. But this film is so much more than that. 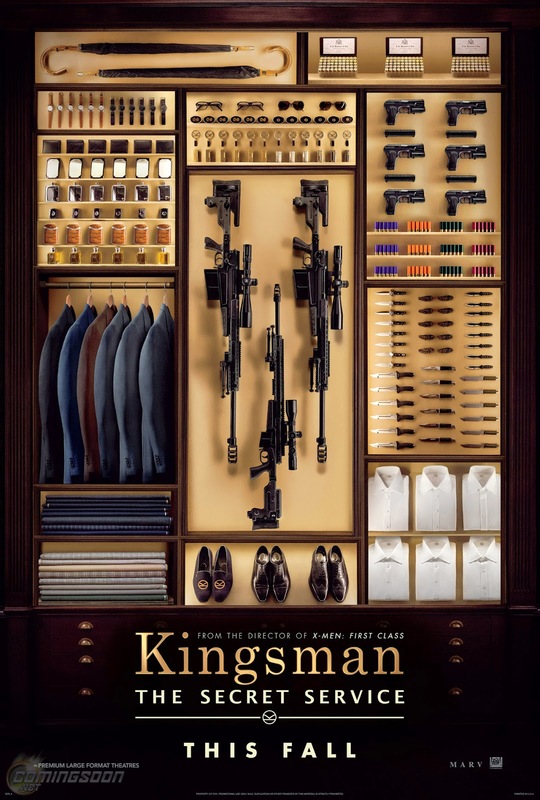 Based around the comic “The Secret Service: Kingsman” (d’you see what they did there) this film follows Gary Unwin, or Eggsy as he’s better known, through the Kingsman training programme and beyond. Colin Firth is Harry Hart, or Galahad to his Kingsman brethren, and the one who put Eggsy forward to compete for the position. Which would all be very interesting in its own right but wouldn’t make a film, so it’s a bloody good job (pun very much intended) that there’s a crazy billionaire philanthropist called Valentine, played by Samuel J Jackson, about to try and kill the majority of people on earth, who obviously needs to be stopped. 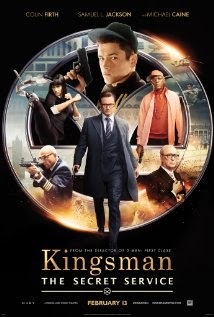 Matthew Vaughn’s directing of this film is spot on, the sets are amazing and the casting an exercise in brilliance, given that you have Mark Strong (Merlin), Michael Caine (Arthur), Samantha Womack (Eggsy’s mum) and Sofia Boutella (Gazelle – she of the prothetic legs with deadly sword attachments) alongside Firth and Jackson. Plus Taron Egerton as Eggsy and newcomer Sophie Cookson as Roxy (another recruit in training alongside Eggsy) are absolutely fantastic – I was especially taken with the way they played the friendship between Eggsy and Roxy (which is not, I’m pleased to say, a euphemism for anything else). There is nothing in this film that hasn’t been done somewhere before but, for me, that only adds to the magic, rather than detracts from it. The suits (the headquarters of Kingsman in hidden in plain sight, in Saville Row, inside a Tailors of the same name) were as sharp and beautiful as promised, the gadgets even more brilliant than I had hoped for, the plot deliciously far-fetched and the action bloody, vicious and stunningly executed (in every sense of the words). There we so many funny moments that my sides were actually aching by the time the credits started to roll and yet there were also moments where I was emotional for completely different reasons. If the Church scene was shot in one take, as it is said to have been on IMDb, then I’m absolutely astonished (because it’s long, complicated, extremely physical and very, very bloody) and more than a little impressed. However my absolutely favourite scene of the whole movie was the scene near the end where there are a huge number of explosions set to music (Elgar’s Pomp & Circumstance) that had me, and the rest of the audience, exploding with laughter. I won’t say what was exploding as that will spoil it for those of you who haven’t seen it yet, but I will say that the effects used (it looks like fireworks) were one of the ways they limited the gore in the film to get it down to a fifteen rating in the UK. I feel that I do have to say that the film is not without issues and, if I’m honest, the bit of me that abhors the deaths of innocent bystanders much prefers what happens in the comics when the killing machine is turned on. But I wasn’t thinking about the moral and ethical problems the film presented whilst I was I was watching it, because it is not a film that asks you to take it seriously. It’s not presenting itself as anything other than an extremely funny, outright fantastical, tribute to all spy films ever made. And that is why I absolutely loved it. I’ve already pre-ordered the DVD and I’ll probably see it a second time in the cinema. I recommend you go and see it too. Oh, and don’t leave the minute the credits start rolling, otherwise you’ll miss one of the most satisfying moments of the movie.